France | Cocktails for Everyone! Triple Sec is such a ubiquitous ingredient in cocktails that I never really give much thought to it. That all changed when I was invited to a media tasting & lunch at Eastern Standard Kitchen in Boston by the people behind Combier, Liquer d’Orange. 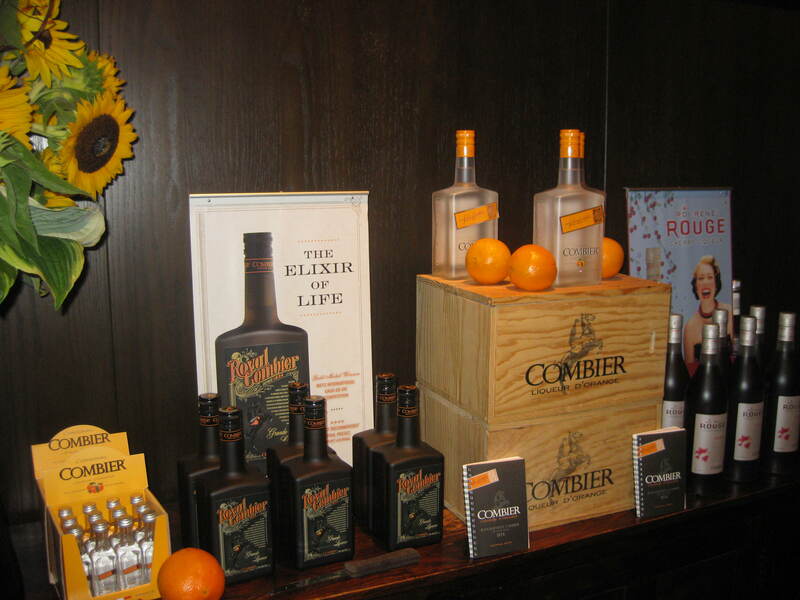 It turns out that Combier, which I was unfamiliar with prior to the invitation, is the original triple sec, created in 1834 by Jean Baptiste Combier in France. The brand is quite well known in other parts of the world, but was introduced to the United States two years ago in a very strategic, key-market roll out. The Combier story began nearly 175 years ago in the picturesque village of Saumur, 200 miles southwest of Paris in the Loire Valley. Jean-Baptiste Combier and his wife, local confectioners, shared the dream of inventing something new. 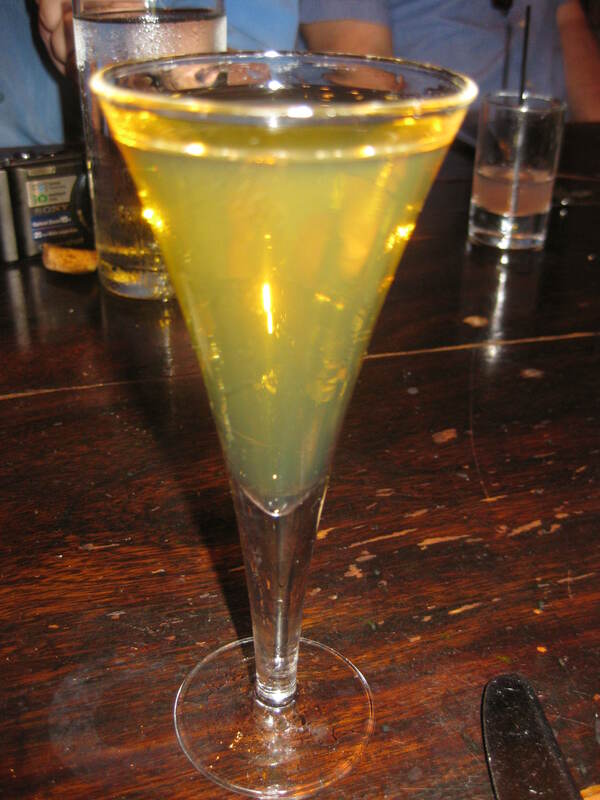 After years of practice and failure, Jean-Baptiste’s quest was successful in 1834: sweet and bitter orange peels from the West Indies, local spices from the South, alcohol from the North, and family-secret ingredients from the Loire Valley – a formula that became the world’s first triple sec: Combier Liqueur d’Orange. 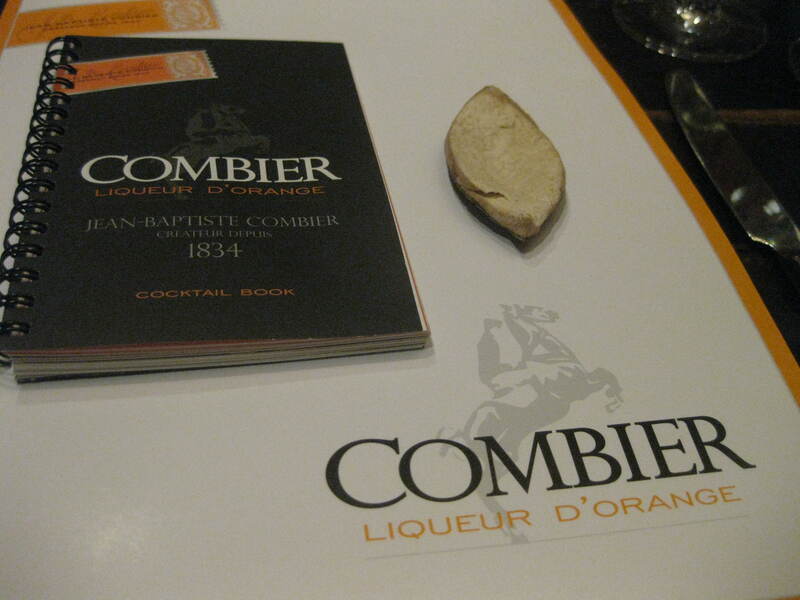 Combier Liqueur d’Orange is prepared in the distillery’s inner room surrounded by century old copper stills. An interesting fact is that Gustave Eiffel, of Eiffel Tower fame, designed the Combier Distillery, his signature “x”‘s still visible today. The original Combier process begins with the preparation of bitter Haitian oranges and sweet Valencia oranges, the peels of which are carefully separated from the zest, by hand – a very tedious, time consuming process. The stripped peels are blended and combined with a base spirit of agricultural origin that is prepared through the first distillation. 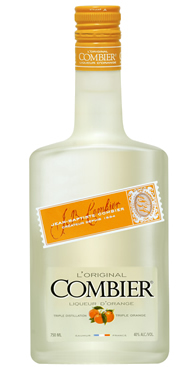 The most significant differences between other triple secs and Combier Liqueur d’Orange are that Combier uses all natural ingredients, it is 80 proof (40% ABV) and it’s triple distilled – ordinary triple sec has a lower alcohol content, takes shortcuts in the production process, uses inferior ingredients and adds synthetic flavoring. Each bottle of Combier is produced, packaged, and shipped from the same location since the 19th century. Amazingly, there are only 12 employees in France producing this delicious family of liquers, and it is still a family owned business – a rarity this day in age. 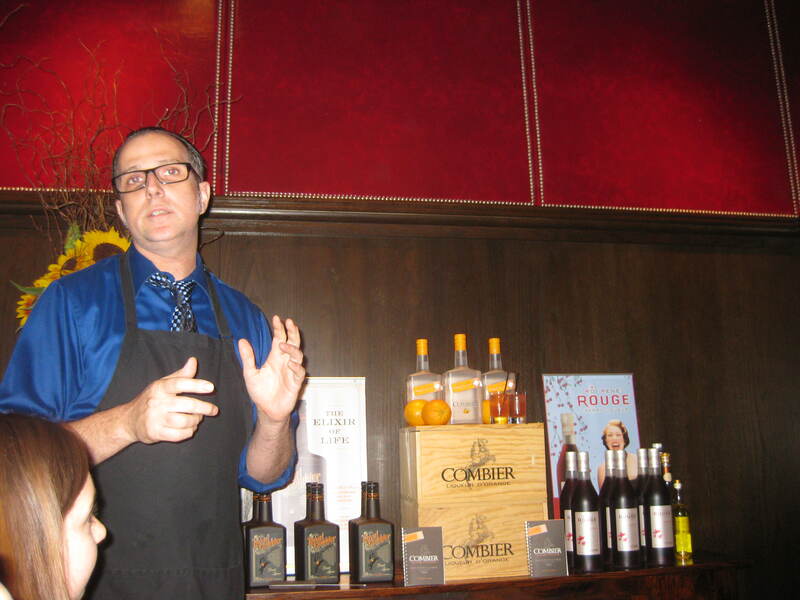 Our hosts were Scott and Curt Goldman, brothers who are the exclusive importers of Combier liquers in the US. After taking us through the history of the brand, we did a side-by-side tasting of other triple secs. The results were truly amazing. 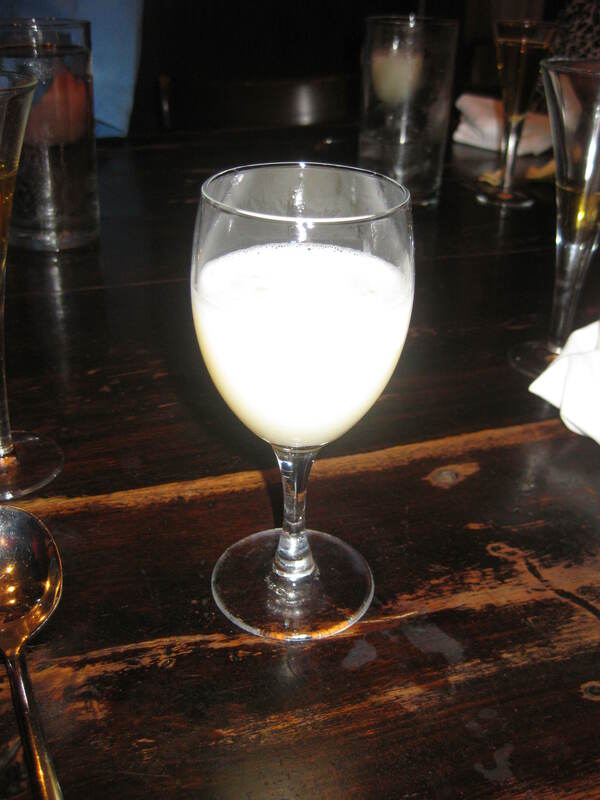 The Combier really stood out as fresh, bright, delicious – not overly syrupy or hot with alcohol as some of the others. 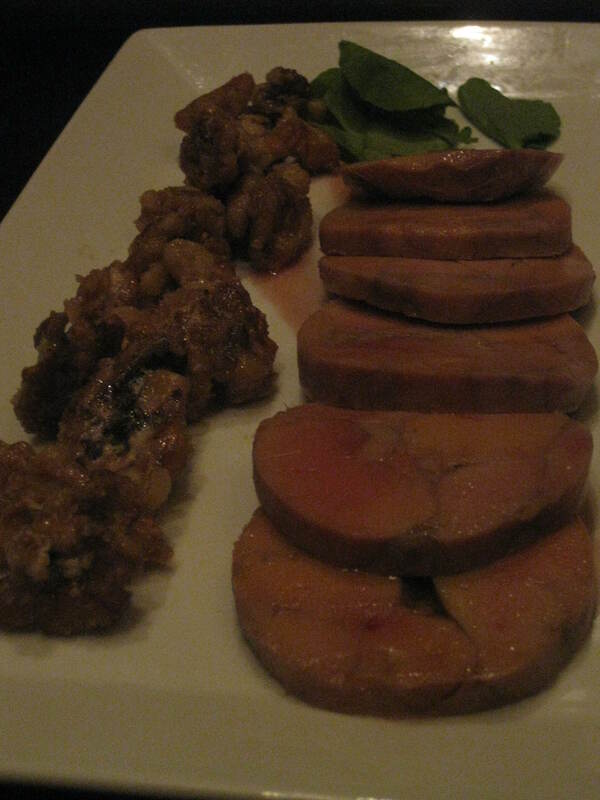 It had a delectable orange aroma and flavor. 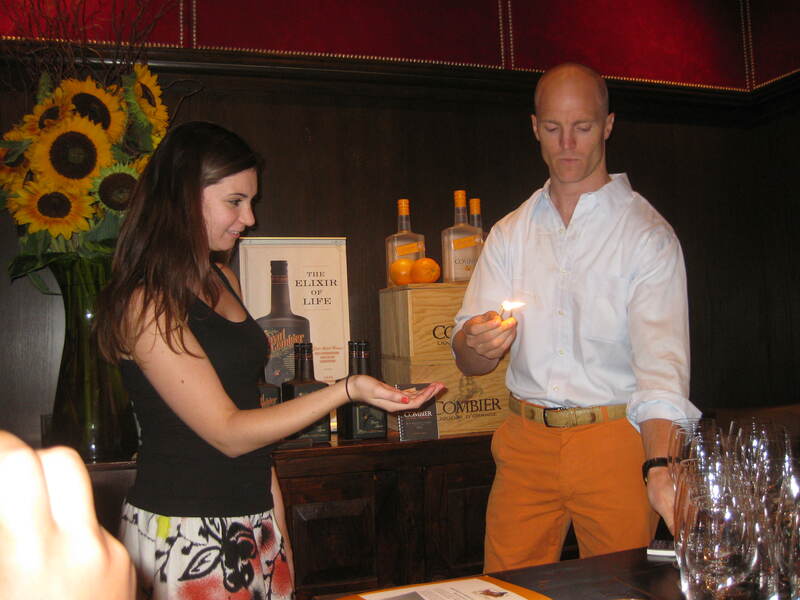 We also got to taste the Royal Combier, a captivating blend of Combier Liquer d’Orange, Delamain Cognac and a famous 18th century Elixir de Combier which was rumored to cure all ills. 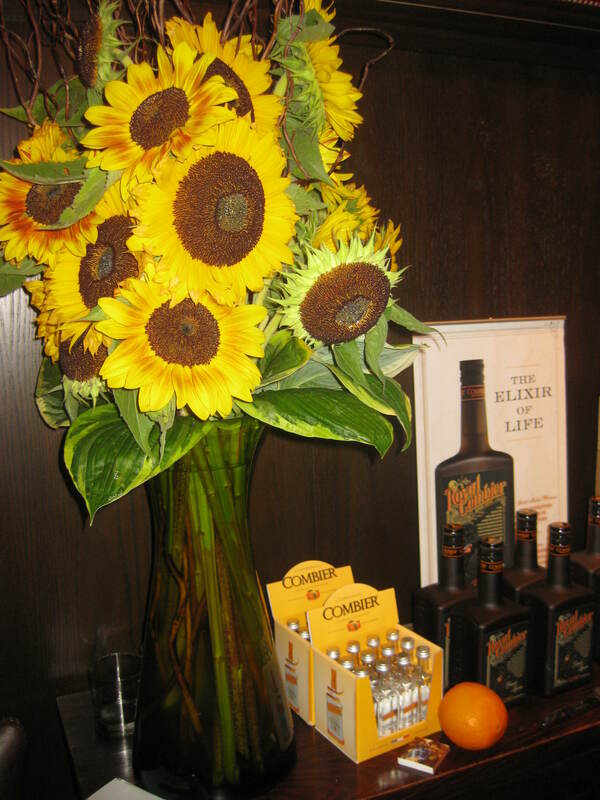 It was beautiful, smooth, complex with exotic layered flavors – would be fantastic on it’s own or on the rocks. The third product we got to taste was the Combier Rouge, a cherry liquer. 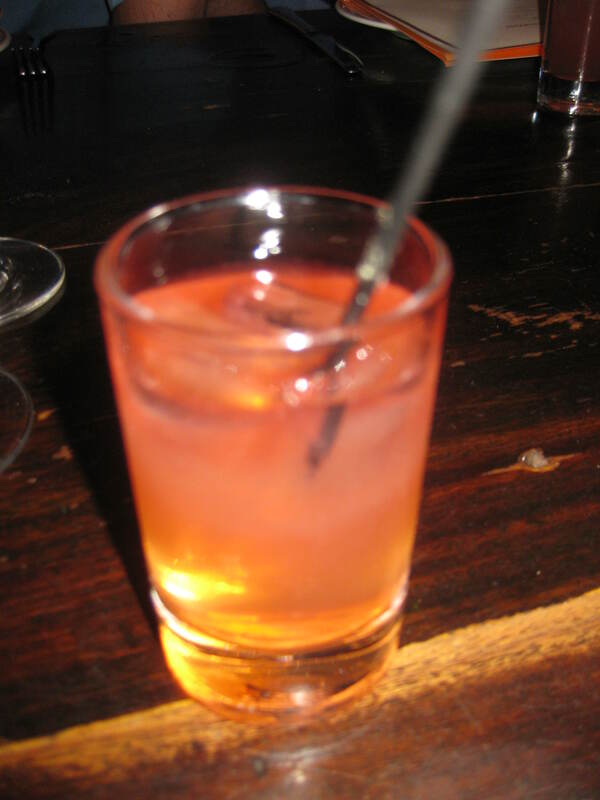 It was light and fruity, with hints of pepper and licorice, a great ingredient in many cocktails. A fun, creative program Scott told us about was called Shaker Faces (www.shakerfaces.com). 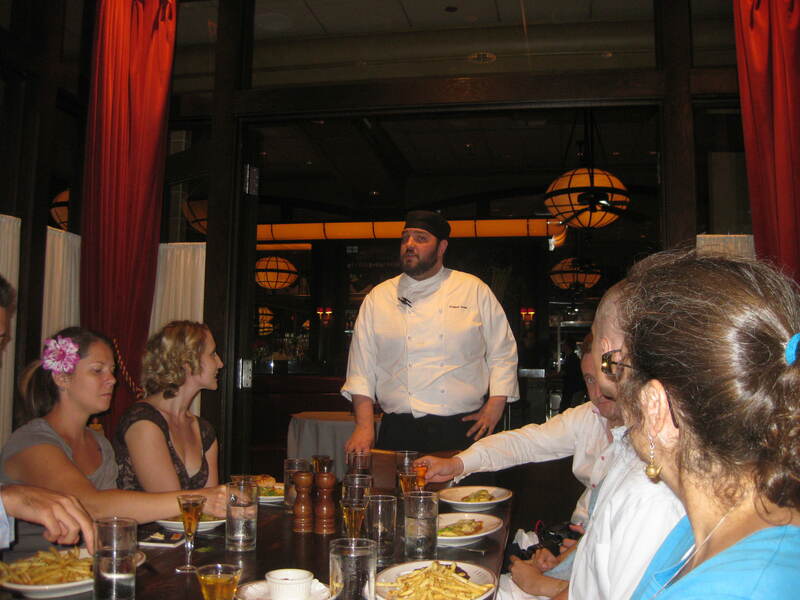 The idea is that you can learn a lot about a bartender by the way they shake a cocktail. And, whether they’re hard shakers or more musically inclined, bartenders all make a face when they shake. So, Combier set out across the nation to capture a few of their favorite Shaker Faces. You can see photos & videos on the website, and vote for your favorites. Once the tasting was complete, we had a fabulous lunch prepared by Executive Sous Chef Rich Morin, and paired with cocktails crafted by Bar Manager Jackson Cannon. The starter of Heirloom Tomato Salad with Toasted Almond Relish & Goat Cheese along with Combier Rouge Stained Foie Torchon was paired with a delightful “Sour Cherry Sling” (Combier Rouge, Oxley Gin, Fresh Lemon & Organic Cream Soda). 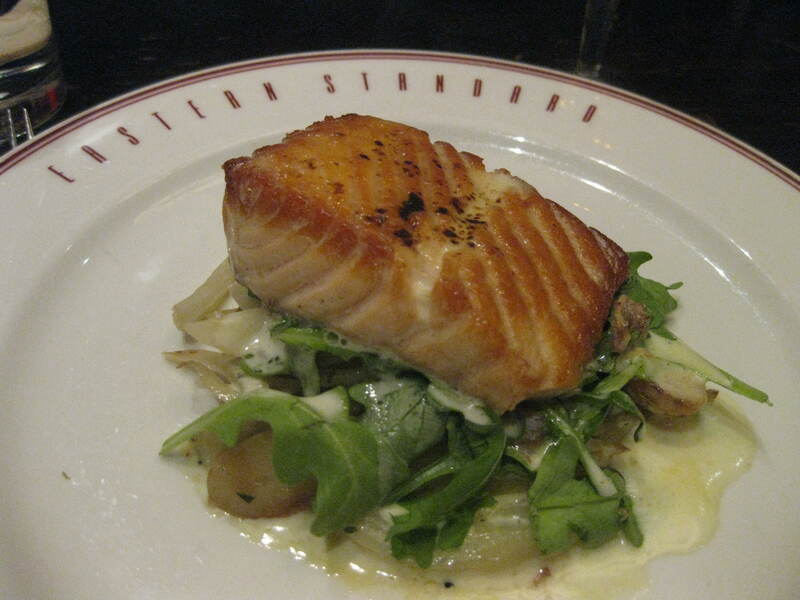 The entrée was a perfectly cooked Seared Salmon with Combier Orange Glacade Fennel, Fingerlings and Arugula paired with a stellar “Heather in Queue” (The spirit of Plymouth, Bianco Vermouth, Combier, Fernet Branca and Lemon Oil). 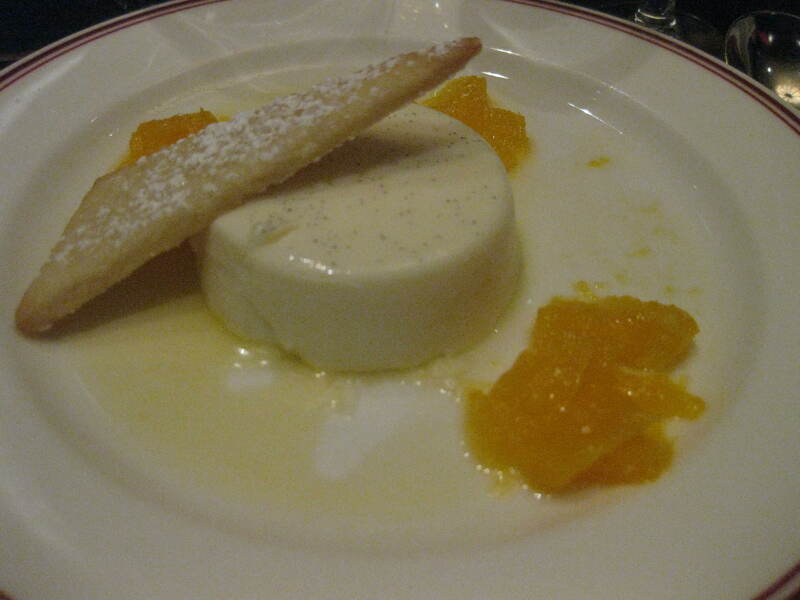 We finished the meal with a beautiful Vanilla Panna Cotta, topped with a Combier Compote, accompanied by a “Royal Combier Fizz” (Royal Combier, Fresh Lemon, Touch of Apricot and Egg White). 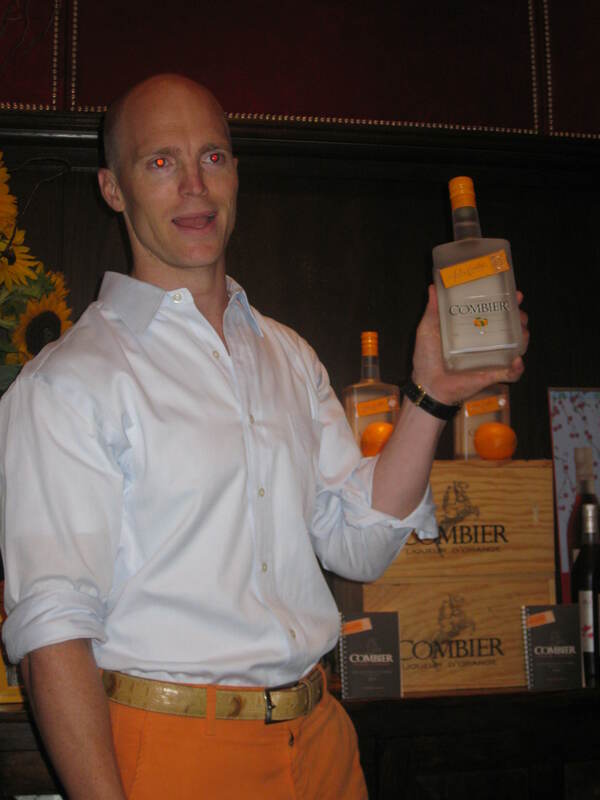 Combier Liquer d’Orange is currently available in 10 major US markets, including New York, San Francisco, Chicago, Las Vegas, Nashville and now Boston. It retails for approximately $34.99. For more information, please go to their website, www.combierusa.com. Cheers!